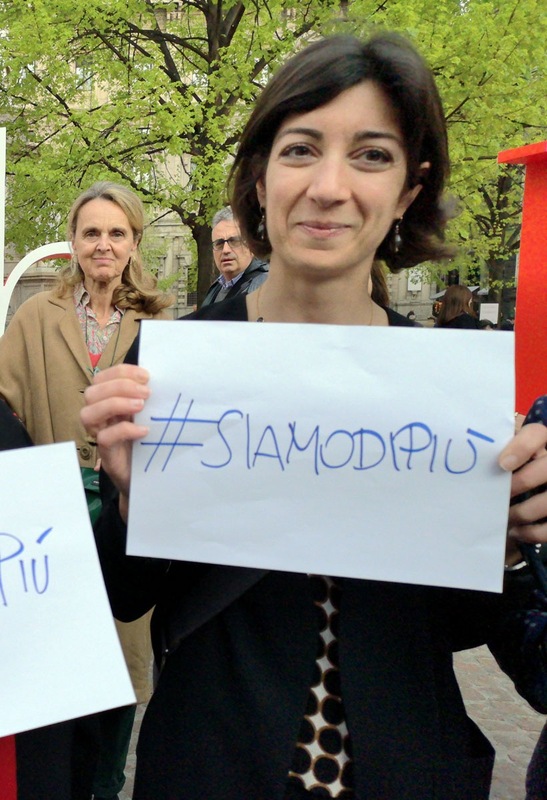 The photo that was published today in the Italian press of the ribbon cutting ceremony of the Salone del Mobile without any woman was harshly criticized. And she-designers posed holding the sign: We are more. “The Design Week is for women and men. It is everyone’s thing. Women contribute to creativity - in Milan, in Italy and worldwide - as and more than men. The photo-ops that portray only men provide an unfair, false and anachronistic image of Milan and our country. 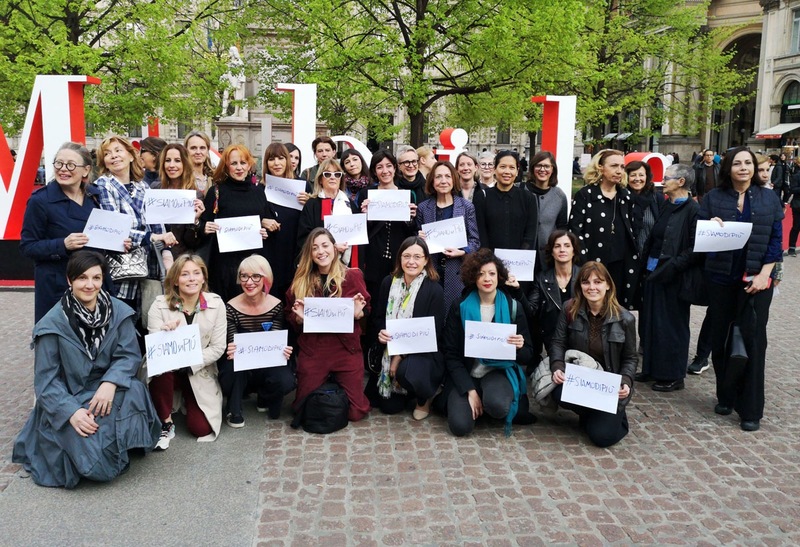 With today's photo shoot of women working in design with different roles we want to show that #wearemore and love diversity..."
With this appeal from her Facebook page, in just a few hours, Cristina Tajani, Councillor for Labour and Production Policies of the City of Milan, organized a sit-in in front of Palazzo Marino, where there is an installation dedicated to the Salone del Mobile, gathering the women of design. All posing, holding signs with the hashtag #wearemore. With the Councillor, among others, there were Gilda Boiardi, Chief Editor of the Interni magazine, Gisella Borioli from Superstudio, Designer Patricia Urquiola, Livia Peraldo Matton, Chief Editor of the Elle Décor magazine, Nicoletta Morozzi, Director of IED, Anna Meroni from Polidesign, Fulvia Ramogida from Ventura Lambrate District, Dalia Gallico, Art Director of Palazzo Reale, Designer Maria Christina Hamel, Aline Radice from 5Vie. The Design Week is for women and men. It is everyone’s thing. With today's photo shoot of women working in design with different roles we want to show that #wearemore and love diversity... (Cristina Tajani)"